I've stayed here many times, always same price room, which was always nearer to the elevator than stairs. Past few times they've put me at the stairs which is much noisier than near the elevator, what happened? 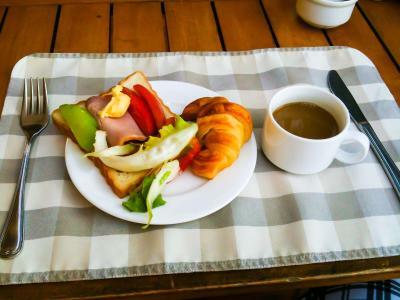 -We had one of the best breakfast here in Vietnam so far. When our original room’s air conditioning was broken, we were immediately switched to another room. The location of the hotel was actually away from the main streets which helped with the noise. We like the friendliness greeting, cleanliness room and breakfast. 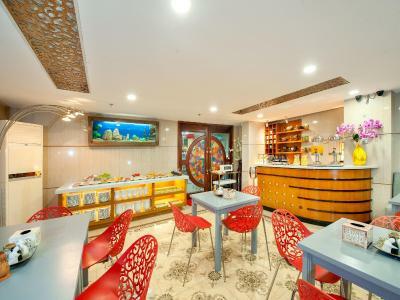 The staff are very approachable, the food are very delicious , have spacious room and clean. Centrally located with all major attractions within walking distances, with very homely staff. The room was well kept, clean and comfortable with an above average breakfast. The location is convenient you can reach a lot of attractions by foot in lees than half an hour. The staff are very kind and helpful. 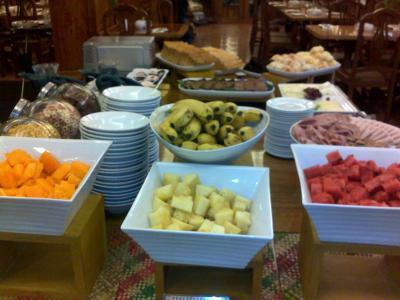 The breakfast is delicious and there is a variety of typical food. The staff was outstanding. Breakfast buffet was varied and very good. Bed was comfortable. Several English speaking channels on the tv. Honor mini bar in room was really nice with reasonable prices. Great location. Good value for money. Room was good enough for the money you pay. Staff in the morning is quite cordial, welcoming and fairly professional. Sorted out an early check-in as the room I had booked was free from about 12pm. We had a family room and it was one of the biggest room in hcm. 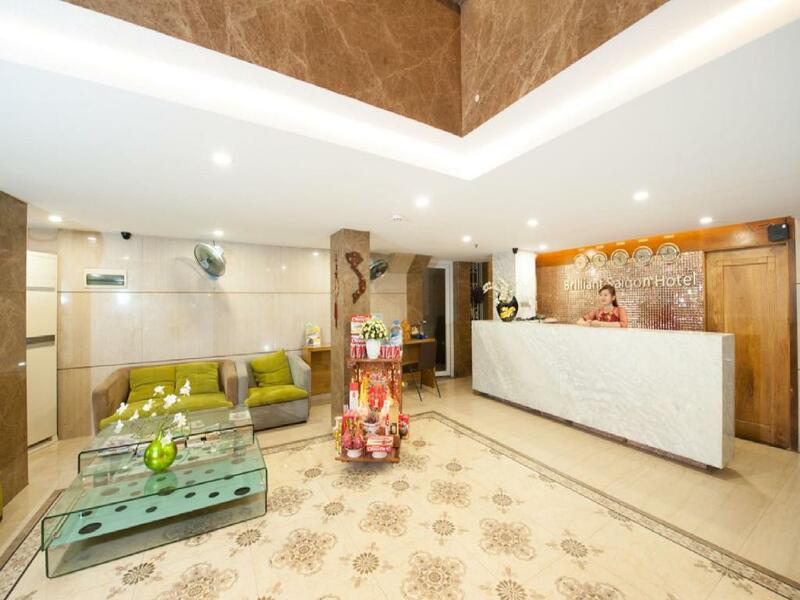 Acacia Saigon Hotel (formerly Brilliant Saigon Hotel) This rating is a reflection of how the property compares to the industry standard when it comes to price, facilities and services available. It's based on a self-evaluation by the property. Use this rating to help choose your stay! 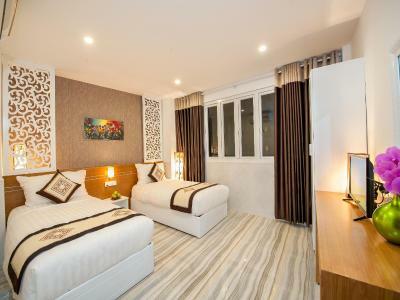 One of our top picks in Ho Chi Minh City.Located in a tranquil area in central Ho Chi Minh City, Acacia Saigon Hotel is a short 5-minute walk from Ben Thanh Market. 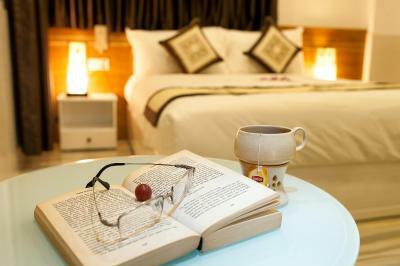 It offers spacious and homely rooms with free Wi-Fi. 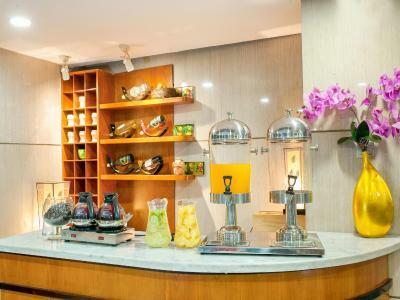 Acacia Saigon Hotel is a 30-minute drive from Tan Son Nhat Airport. Parking is available free of charge on site. Modern rooms feature classic dark wood furnishings. 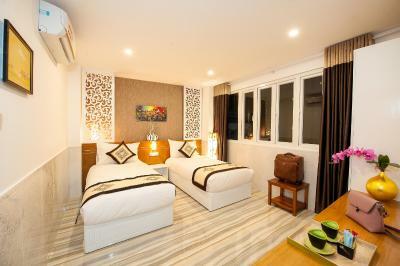 They are equipped with air conditioning, cable TV channels and a mini-bar. Some rooms have a private balcony. Guests can visit the hotel’s business center for their communication needs. Its tour desk assists in sightseeing arrangements and currency exchanges. Laundry and dry cleaning services are also available. 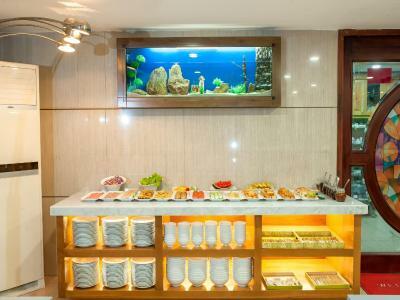 A local Vietnamese meal can be enjoyed in the hotel’s restaurant. Drinks are served at the bar. 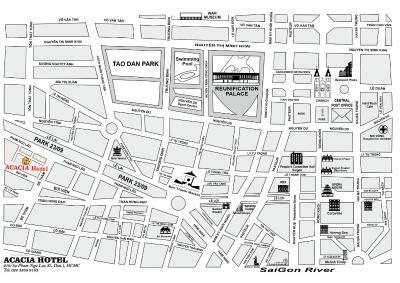 Alternatively, visit the many eateries and pubs located within a short walking distance of the hotel. 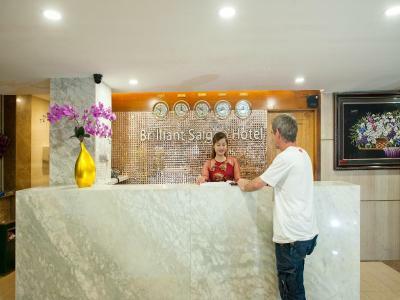 When would you like to stay at Acacia Saigon Hotel (formerly Brilliant Saigon Hotel)? This room has air conditioning, a desk and wardrobe. A cable flat-screen TV, mini-bar and electric kettle are provided. 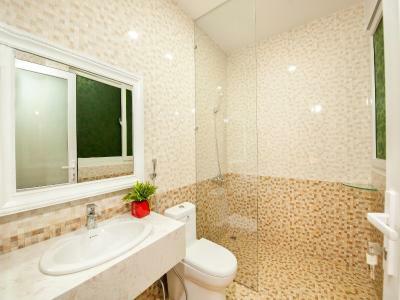 Private bathroom is fitted with a shower, hairdryer and free toiletries. 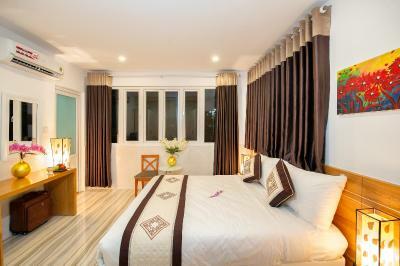 Spacious room can accommodate up to 4 guests. Larger room has a window. 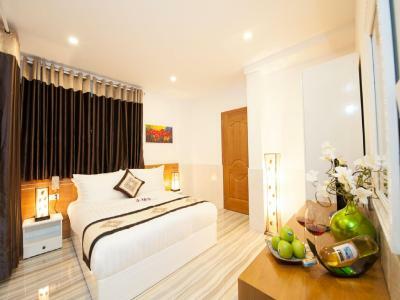 Featuring a view, this air-conditioned room features a desk, flat-screen satellite TV and a mini-bar. The private bathroom includes shower facilities, a hairdryer and free toiletries. A basic room featuring views. 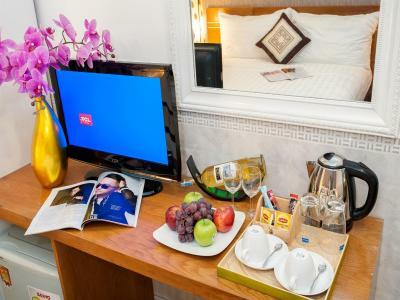 This double room features a satellite TV, electric kettle and mini-bar. Rooms do not have windows. 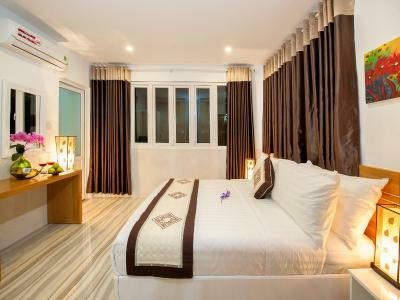 This double room features a mini-bar, tile/marble floor and view. 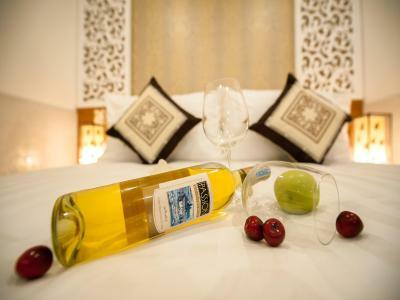 House Rules Acacia Saigon Hotel (formerly Brilliant Saigon Hotel) takes special requests – add in the next step! Acacia Saigon Hotel (formerly Brilliant Saigon Hotel) accepts these cards and reserves the right to temporarily hold an amount prior to arrival. The hotel has great location. It is in the center but in very quiet place. The staff was very kind and helpful. 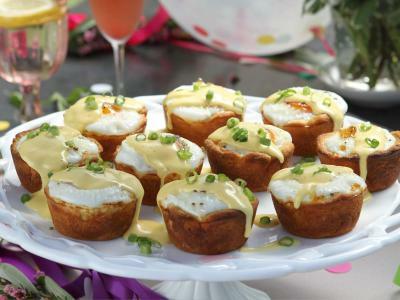 Breakfast was very tasty. Our room was clean and comfortable. I really recommend this hotel. Amazing location, down a little alley near to the most lively and buzzing street in the city. Really quiet though! Located on the middle of small pathway. But its just 30 meters. 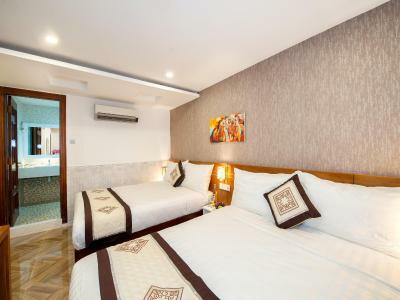 Clean hotel with modern facilities. Quees bed is comfy. Room has tea/cofee maker also. Bathroom is clean. 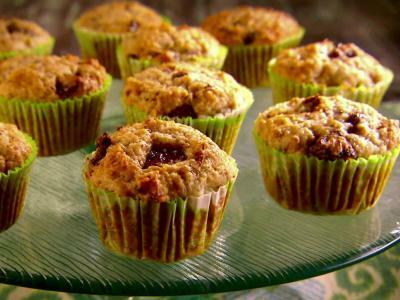 Breakfast has many varieties. 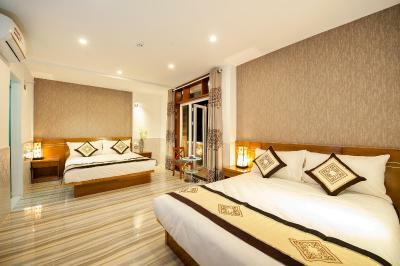 Just 2 minute walk to bui vien street. But the hotel is calm. The room I got was advertised as a family room with balcony and a view but the only view you get is a building 2-3 meter in front of you and the buildings on the sides. It should say a room with balcony and drop the “view”. The hot water wasn’t on for over an hour, even thou it’s okay to take a shower with room temp. Water in vietnam I’m just pointing it out. They should also clean up the wall fungus!!! The breakfast isn’t good either. I love the breakfast, the location. Our room is clean and the bed very comfortable. Thank you Jase for our easy accomodation. The doors had a big gap in the top so you heard everything from the corridor. Either other guests or cleaners in the morning etc. The location was very convenient. It was a short walk to the main nightlife but since it was tucked away down an alleyway, we didn’t hear any noise from the busy road or bars. 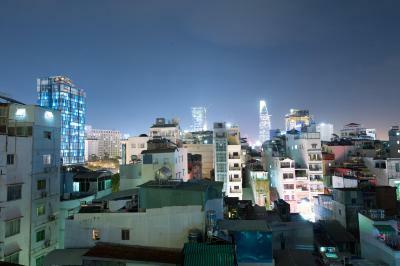 It was clean and functional and did its job whilst we were in Ho Chi Minh. Breakfast was sufficient. It was good value for money since it was quite cheap. The friendliness of Jase at the front desk. Rooms not particularly clean. Located off the main road, dodgy street. At least location was close to nightlife. Breakfast good. Location good, didn't expect the hotel to be down an alley so not quite up to the photos published. Everything!location,reception,room&diner.good selection of food at breakfast,small but very comfortable room with no traffic noise because of location.breajfast was very good,even down to the banana pancakes,delicious! Iron to be placed in the room. 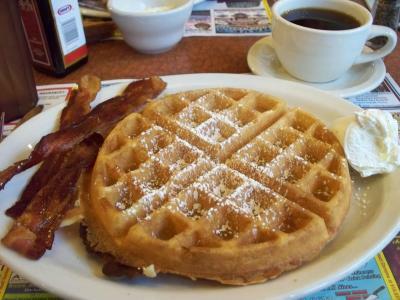 Breakfast was good, room was spacious and staff were friendly. The path way to hotel .